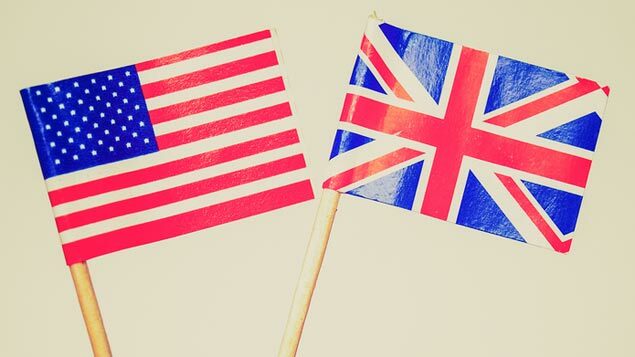 Transatlantic HR: how similar is HR in the US and the UK? Given the huge disparities in the levels of maternity pay and annual leave, UK professionals could be forgiven for thinking that an HR job across the pond might be very different. But Dawn Nolan finds that, despite key differences in employment law, many employers in the US and the UK run on fundamentally the same HR principles. Most UK workers probably have a defined idea of what it is like to work in a US office, and likewise American employees of their British counterparts. But beyond the stereotypes, HR in the two countries operates in many similar ways, with any key differences likely to be on a business-by-business basis. “The legislative elements of HR may be different in the UK and the US, but when it comes to wider factors affecting organisations, we can see HR functions responding in a similar way to develop organisations and ensure that they enable their workforce to be the best they can,” explains Jessica Cooper, research adviser at the CIPD. Marianne Hanjaras, HR manager for Enterprise Rent-A-Car, has had first-hand experience of working in both the UK and the US. She agrees that differences in the way HR is structured, for example, “are more company-specific than country-specific”. Currently responsible for Enterprise’s largest operational group in Europe, she moved to the UK 10 years ago, having previously worked for the car rental company in Los Angeles and New York. In terms of similarities, she asserts that there is “100% crossover of the HR fundamentals”, which is obviously good news for HR professionals looking to move into HR from the US to the UK and vice versa, as well as those with expanding global remits. Again, Kutcher believes the structure of HR – and whether it is dispersed or centralised – really depends on the employer. In the US, she was vice-president for the ice hockey team Anaheim Ducks and Anaheim Arena Management. She has also held several positions at PricewaterhouseCoopers Consulting, including director of career development. Jen Schramm, manager of workforce trends at the Society for Human Resource Management (SHRM), the key membership body for US HR professionals, notes that many large companies have shifted to a shared services model and this has influenced the market globally. She argues: “US employers are certainly very influential across the global market, and US companies with operations in the UK and other European countries are definitely driving the shift to a business partnering model. Hanjaras says that, while HR in the US is anecdotally “trying to be transformational”, she believes that “the UK, being smaller and more agile, is taking on and responding quicker and better than the US”. And from a credibility perspective, she feels that HR professionals in the US are still battling to prove their value. HR “is still the joke” and more likely to be seen as “ridiculous”, even though personally she has come into contact with “very focused business professionals who add value to the business”. That said, she generally feels that HR is shaking off this image to focus on more strategic issues, such as gender equality and women in the boardroom. On the legal side, HR can take some comfort that employment laws in the US and the UK are “more similar than they are different”, according to Jonathan Segal, partner at law firm Duane Morris LLP. Still, he warns that US employers doing business in the UK and vice versa risk financial, legal and PR liability if the differences are not recognised (see table below). Medical information Employer cannot ask for medical info until after conditional offer is made. Medical info can be asked during the interview process. Eligibility to work Employee must prove eligibility to work within the first 3 days of employment. Eligibility to work must be proven prior to first day of actual work. Family leave Leave can be taken to care for a spouse, child or parent. Some states go further. Leave to care for any dependent that an employee can show is genuinely dependent upon them. Termination An employee’s contract can be terminated at any time with or without prior notice or cause (except for unlawful reason). Minimum notice applies, except for dismissal. After a period of continuous service, a fair reason (eg capability) is needed. Age discrimination Applicants and employees are protected only if age 40 and over. Protection applies to all applicants and employees. Overtime Generally, an employer can mandate as much overtime as it wants. An employee cannot be required to work more than 48 hours in a work week. In particular, Kutcher points out the key differences in the tribunal system in the UK and the requirements for dealing with redundancies. “In the US, employees can contact the EEOC (The US Equal Employment Opportunity Commission) if they have claims against an employer, which would be the closest comparator to the tribunal system in the UK,” she explains. “By sheer size of the respective countries, I found working in the UK easier with regard to employment legislation compliance,” Kutcher admits. “In the US, there are many different state employment laws that can make it difficult to manage and stay compliant, if your employer has operations in many states”. Hanjaras points out that “some US federal laws [these apply to the nation as a whole and to all 50 states] supersede state laws, which can be confusing”, but, on a practical note, “the tight US framework of federal and state laws actually makes it easier to create policies to reflect those”. Hanjaras says spending time with an employment lawyer and attending seminars got her up-to-speed with UK laws when she first arrived. She explains that “the good thing with the UK is it’s far less litigious,” but warns that “it’s more challenging and less ‘black and white’, as laws are subject to interpretation from the courts”. Hanjaras believes that the laws in the UK tend to favour employees, with the balance tipped in their favour. She cites “much better maternity rights” as an example. One of the biggest shocks for people moving to the US, she warns, is comprehending the huge difference in annual leave of days – not weeks – and that it is the cultural norm. For those moving into HR across the Atlantic, Kutcher advises seeking out resources from the CIPD and SHRM, as well as government sites. The CIPD Profession Map, for example, offers guidance on working in HR on a global level. Former group editor of Personnel Today, Dawn Nolan is now a regular freelance contributor. She has 18 years’ experience of writing, editing and commissioning for business and consumer media.